Construction engineer Billy has forgotten how to use their imagination – and they’re about to bulldoze the Symphony! Can COWBOY DAVE and his fearless friends help Billy wrangle their creativity before it’s too late? Introduce your favorite young cattle roper to some great symphonic music in this interactive, 45-minute concert featuring selections from Rossini, Bizet, Grieg, Brahms, and more. Suitable for ages 18-months-8 years. What is Tiny Tots? 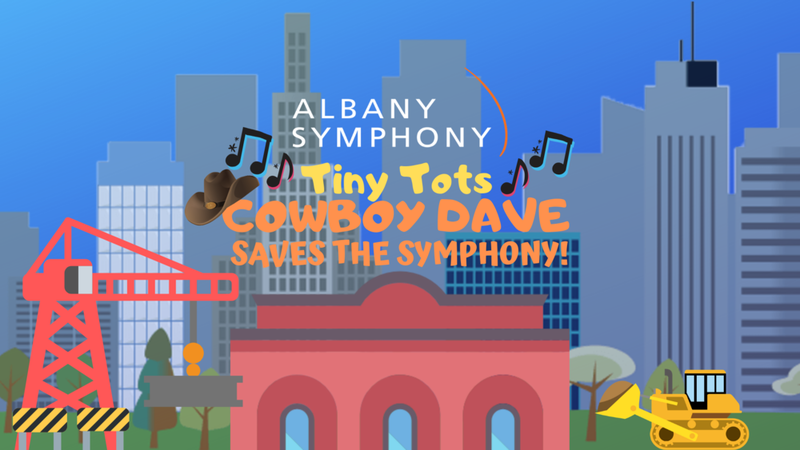 Tiny Tots concerts are interactive school day performances that have thrilled pre-school audiences and primary students, their teachers, and parents for over 20 years.